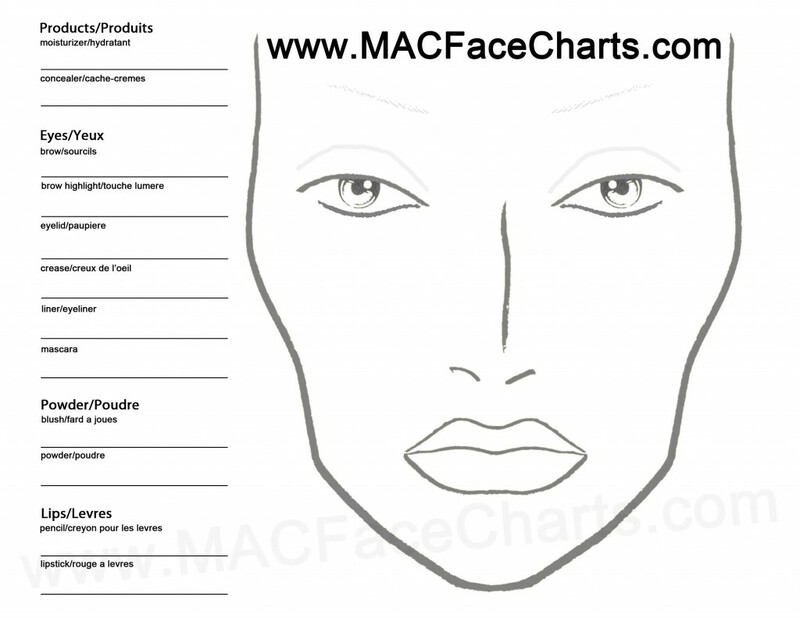 This face chart is from http://www.macfacecharts.com, but there are lots of other place to find face charts online, or just make your own. Face charts are a great way to demo colors and various looks before having the talent sit for you. It can save you time, money and a lot of frustration. Face charts are quick and easy to do and I always find working on a face chart a fun activity. You can download generic face charts online. The most popular of the them is the MAC face chart. As generic face charts go, I prefer a face chart with one eye closed so I can see the detail on the eyelid. For continuity on set, face charts are a must. However, sometimes you need a personalized face chart. For me, the personalized face charts come in handy the most when I do character makeups, or more avant grade looks (I just love to say avant grade!). I have even done a face chart for myself personally when I was trying to decide what look I wanted to wear to a fancy event. Why use a personalized face chart? Because everyone’s face is different. Most standard face charts are specifically for beauty and assume the talent is female, and already looks like a super model, with high cheek bones and a perfect lip line. Great way to test possible looks without needing the actor to sit for you. To establish a specific look for the actor. One which you and the director have agreed on. That way on the day of shooting it removes the guess work and surprises. Personalized face charts work great for both beauty and special makeup effects makeups. You can test out different looks to decide which concept you like best. Great way to impress the director! Tomorrow I will talk about how to make a personalized face chart.